Their species is disappearing — but it's not to late to save them. Pigeons come in all shapes and plumages. 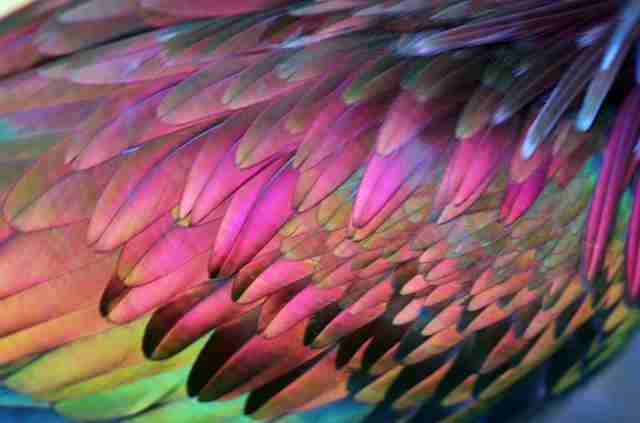 Some dazzle with their shimmery feathers. Some remind us of a drizzly day in London. And others just go ahead and drape themselves in every color of the universe. Beneath the technicolor trappings, the Nicobar pigeon - also known as Caloenas nicobarica if you're into Latin designations - is essentially a pigeon. 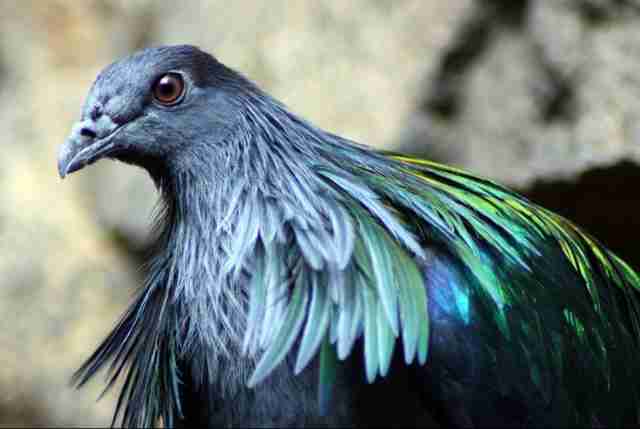 But this pigeon hails from a chain of islands in South Asia called, you guessed it, Nicobar. And, unlike your typical pigeon, the bird boasts a family history that's nearly as illustrious as those feathers. 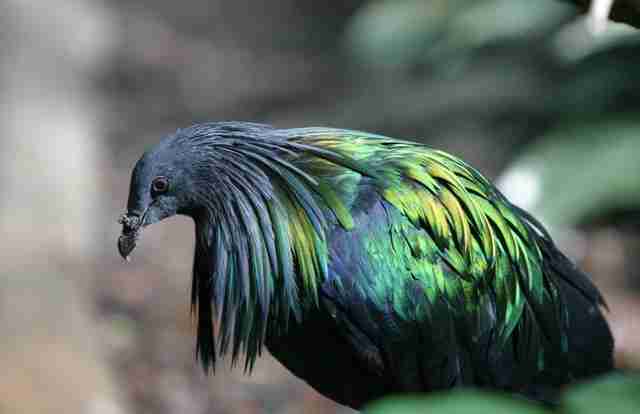 Experts say the Nicobar pigeon is the closest living relative of the dodo. Not The Dodo. The one who went extinct in the mid-17th century due, in great part, to being overhunted by humans. 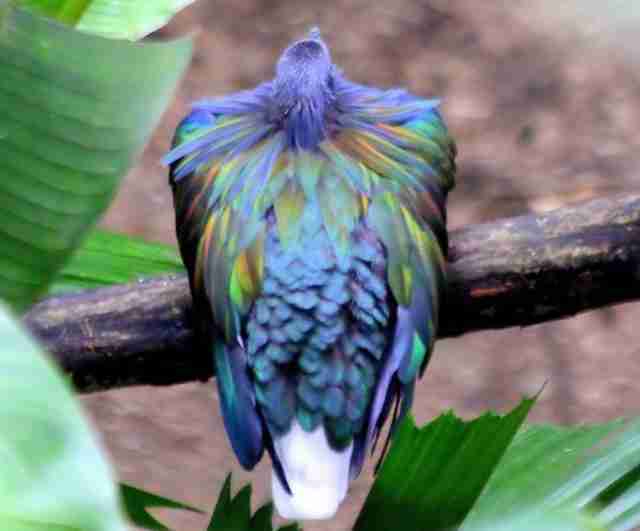 In appearance, however, the dodo could never match the sheer spectacle of the Nicobar pigeon's plumage. Surprisingly, despite being home to the most beautiful pigeons on the planet, the locals decided not to name him their official state animal. 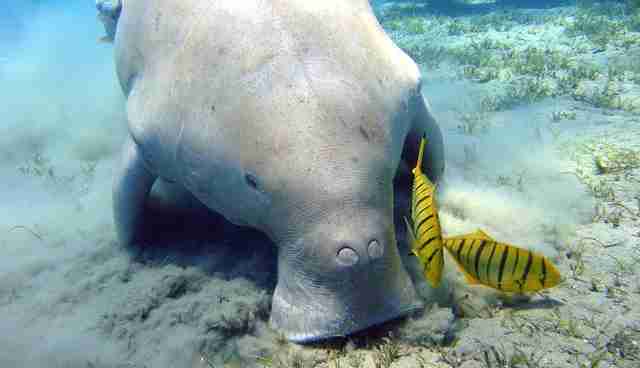 Instead, that distinction goes to the dugong, a cousin to the manatee who also has a lot of interesting features. But let's face it, the dugong doesn't exactly make a postcard pop. Another surprise is how unruffled the Nicobar pigeon seems by all the attention. He's often seen wearing what appears to be the hint of a scowl. We've seen grumpy dogs. We've seen grumpy cats. 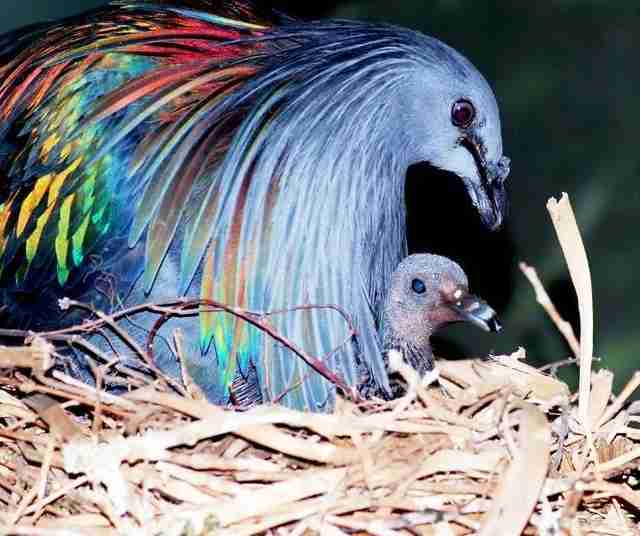 But if any animal has good reason to be surly, it may be the Nicobar pigeon, who shares another sad connection with his ancient cousin, the dodo. The species sits squarely in the Near Threatened category of the International Union for Conservation of Nature (IUCN) Red List. That means the bird's numbers have been falling at a rate that's edging ever closer to endangered. The organization notes several threats, mostly related to humans. The bird is being captured for food, as well as to fuel the exotic pet trade. Even more disturbing, some people not content to marvel at the bird's outward splendor, make jewelry from their gizzard stones. While the IUCN has not been able to peg the bird's population, the group characterizes it as "generally scarce to rare." Which might account for that scowl. It certainly doesn't have the desired effect on people who see him. We can't help but admire the kind of work nature did here - like really digging into the full palette. Every shade of green and blue and the kind of blacks only seen in the hearts of truffles. And maybe deep space. This bird was painted by a master.